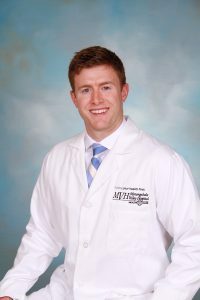 Monongahela Valley Hospital (MVH) recently welcomed Shane Hennessy, D.O., to The Orthopedic Group. Dr. Hennessy studied Neuroscience and Psychology at Allegheny College and received his doctorate in Osteopathy from Edward Via College of Osteopathic Medicine in Blacksburg, Virginia. Dr. Hennessy completed a fellowship with UPMC Sports Medicine during which he was the fellowship team physician for the Fox Chapel High School football team, Saint Vincent College football team and the University of Pittsburgh men’s basketball team. Dr. Hennessy specializes in sports medicine as well as physical medicine and rehabilitation. The Orthopedic Group has offices located in Rostraver Township, California, Charleroi, Mount Lebanon and Uniontown.